When Lacey Turner’s father contracted AIDs from a transfusion when she was five, her rough childhood made her strong and self-sufficient, so butting heads with the guy her brother leaves in charge of the ranch while he’s away is as inevitable as her attraction to the hot cowboy. National Guardsman Jesse Briscoe’s word is his bond. Too bad he agrees to watch over his friend’s ranch and sister while his buddy is away. The hellcat is as spoiled and self-serving as she is beautiful. But he’d witnessed firsthand what a woman like that can do to a man when his mother decided she no longer wanted to be a wife and mother and deserted them when he was nine. 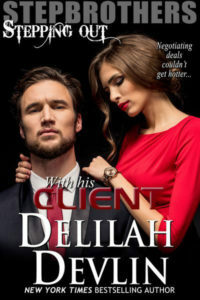 Worn down by a desire too strong to ignore, the two give in to their heated attraction, but will they give up control long enough to discover the truth behind their attitudes, or will words get in the way? Donna Michaels is a NYT & USAT bestselling, award winning author who writes romance through the H’s-Hot, Humorous and Heartwarming. 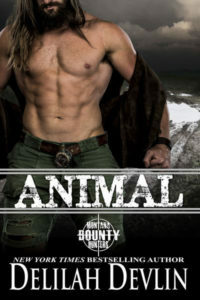 Her heroes are strong alpha cowboys and military men who are equally matched by their heroines. With over twenty books of various lengths and heat levels, she’s published through Entangled Publications, AmazonEncore, The Wild Rose Press, Whimsical Publications, Kindle Worlds, as well as having several self-published titles. Donna lives in northeastern PA with her military husband of 30 years, and a house full of her now adult children, many rescued cats, and even her parents! There’s never a dull moment, which means there’s plenty to write about!